To begin with, it would seem to be logical for one to ask, Where in Scriptures is it required to inspect the ripeness of the barley crop to determine when the first month of the year begins? Well, if you are having a difficult time finding the answer, there is no need to be upset. The simple answer is, There is no such instruction to be found in Scriptures! If not found in Scriptures, then where did such a notion come from? In order to find the answer all one needs to do is consult the history books where it all becomes very interesting. If you are in the least bit interested in finding some answers along with learning some New Year history then just proceed onward. It all begins to become clear when we realize that the “green ears of barley” issue can be traced back in time to the Hillelic Pharisees of the first century C.E. Rabbi Eliezer and Rabbi Huna both included in their consideration of the four tequphoth the Tequphah of Tebeth (Dec./Jan. ), i.e., the winter solstice.6 Eliezer also explains that these tequphoth must be accompanied by one of the other two signs. The condition of the fruit trees and of the barley crops, therefore, were given equal weight, for either one or the other had to stand along with the lateness of the tequphah before a year could be intercalated. Accordingly, even if the barley crop was mature but the development of the fruit trees was deficient, the condition of the fruit trees, when coupled with the lateness of the tequphah, was grounds to intercalate the year. The immaturity of barley coupled with the lateness of the tequphah was the other grounds. Nevertheless, if the tequphah was not late yet both the fruit trees and the barley crop were not mature enough, these two factors together were not grounds enough to intercalate the year. This detail is our first indication that the Hillelic method for the intercalation of the year ultimately sprang forth from the earlier system which was based solely upon the timing of the tequphah. Nothing whatsoever is said in Scriptures regarding the maturity of the green ears of barley or of the state of fruit trees for determining the beginning of a year. Indeed, the Hasidic material from Qumran and even the more conservative first century C.E. Pharisees, like Philo and Josephus, make no mention at all of the maturity of barley or of fruit trees as a determinant for beginning a new year. The issue makes its first appearance with the more liberal Hillelic Jews beginning in the year 41 C.E. How then did the Hillelic Pharisees come to rely upon these two items as primary reasons to be associated with the tequphah (spring equinox) for intercalating the year? As you can see, the lateness of the tequphah (spring equinox) is coupled together with either the lateness of the barley harvest or the unripe condition of the tree fruits. Then listed separately as “moreover” come the auxiliary conditions. As a side note, the Samaritan Jews (originally a Sadducean-based group which had by the fourth century C.E. been heavily influenced by the Pharisees)16 also adhered to a custom that required the maturity of fruits to begin the year. Yet they differed from the Pharisees in three ways: they continued to keep Passover after the vernal equinox, they looked for the maturity of first-fruits in general, not just of barley and fruit trees, and the issue of maturity was secondary to their main reason of intercalation—that Passover must fall after the vernal equinox. In the LXX, the month name ha-Abib is translated as νέος (neos),23 meaning “new”24 and implying new grain crop. Abib, therefore, refers to green ears of grain. 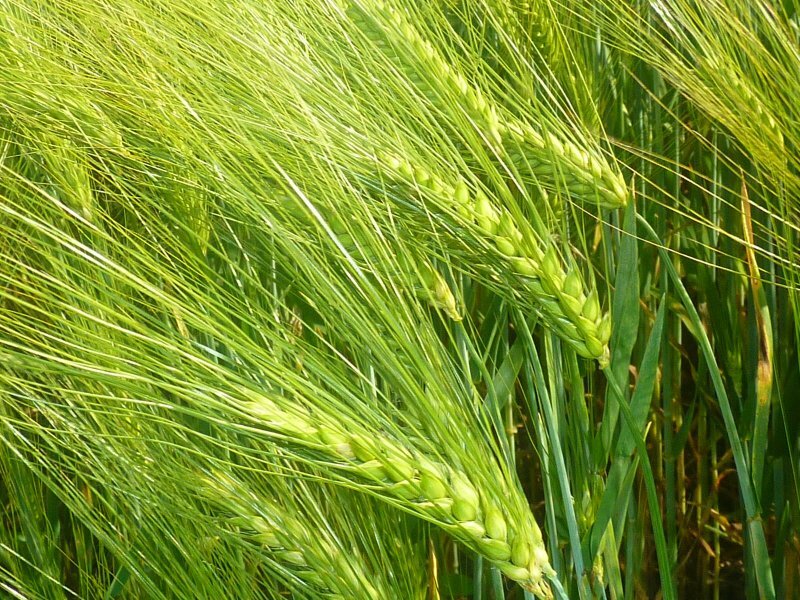 The fact that barley can be described as abib (in green ears) shows that the term abib includes, but is not limited to, barley. Therefore, the Pharisees identified the name ha-Abib specifically with the green ripening ears of barley corn. Accordingly, for them the moon of ha-Abib could not just fall in a general time of the greening of the spring grain bearing crops but at a time when the ears of barley corn were themselves ripening. At the same time, we must keep in mind that the definition of the month-name ha-Abib as “the green ears of barley” is nowhere found in Scriptures. Yet one would certainly include spring barley under that label. This concludes Part 1 of our two part series dealing with the subject of “green ears of barley” and its consideration in determining the month of Abib, the first month of the New Year. In The Abib and Barley Error – Pt. 2 we will present evidence which will conclusively prove the fallacy of the requirement for “the green ears of barley” formula as a determining factor to begin the scriptural New Year. Note: Adapted from a chapter from the forthcoming publication by Qadesh La Yahweh Press. 3 B. R.Sh. 21a; cf., J. Sanh. 1:2 (fol. 18d); B. Sanh. 12b. 5 J. Sanh., 1:2:7a-d; Tosef. Sanh., 2:2a-d.
6 Eliezer, 8, p. 56-57.; B. R.Sh. 21a; cf., J. Sanh. 1:2 (fol. 18d); B. Sanh. 12b. 7 Eliezer, 8, p. 56-57. 10 B. Sanh. 11b; J. Mas. Shen 6:6 9 (fol. 56c), J. Sanh. 1:2 (fol. 18d); Tosef. Sanh. 2:6. 12 B. Sanh. 11a; J. Sanh. 1:2:7, l-m.
14 Jos. Antiq. 3:10:5. Philo Spec. 2:28 §160. 21 Philo Spec. 1:35 §181. 22 Philo Moses, 2:41 §222. 23 Cf., Philo Spec. 2:28 §153, “But the month of the autumnal equinox, though first in order as measured by the course of the sun, is not called first in the Torah, because at that time all the fruits have been gathered in and the trees are shedding their leaves and all the bloom which the spring brought in its prime already scorched by the heat of the summer sun is wilting under the dry currents of air.” The idea that the seventh month, Tishri, was the first in order as measured by the course of the sun is based upon the Jewish notion that Tishri is the first month according to their civil calendar, which in reality is based upon an early Egyptian calendar that was later practiced by the Macedonians (cf., Jos. Antiq. 1:3:3; S.O. 4; R.Sh. 1:1; B. A.Zar., 10a; etc.). Philo, Spec., 2:28 §150. Philo, Spec., 2:28 §151f. Philo, Exod., 1:1. 15 B. R.Sh. 21a; cf., J. Sanh. 1:2 (fol. 18d); B. Sanh. 12b. 16 Due to their common beliefs and roots, the Samaritans were often identified by ancient writers as Sadducees (Hippolytus, Ref. Her. 9:24; Epiphanius, Pan. 1:14; John Dam. 16). Also see FSDY 1, pp. 229-233, 240-243, 252. 20 SEC, Heb. #3 and 4; CHAL, p. 1, “shoot of a plant growing close to the earth,” cf., Job 8:12. 23 LXX of Exod., 13:4, 23:15, 34:18; Deut., 16:1. 24 GEL 1889, p. 529. 29 Ruth 2:23; cf., Jer. 41:8. 30 Exod. 34:22; Philo, Spec. 2:30 §179; Jos. Antiq. 3:10:6. 31 Jos. Antiq. 3:10:5; Philo Spec. 2:29 §175. This entry was posted on 01/29/2017, 7:16 am and is filed under Abib, Calendar, New Moon, New Year, Passover, Religion, Tekufa, Tekufah, Tequphah, Tequphath, Vernal Equinox, Yahweh. You can follow any responses to this entry through RSS 2.0. You can leave a response, or trackback from your own site.